When you have a couple kids around the house, expect plenty of trouble. Every day feels like a challenge and just getting them to sit together for a few minutes without having to sit through another ‘family court’ once again is an achievement in itself. 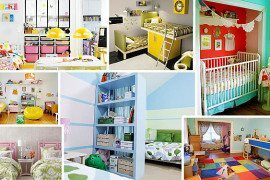 Imagine how much harder it is to design a shared kids’ bedroom! There were times when our parents simply asked us to get on with things and design was never really important. You had to keep the space clean and fight the rest among yourselves. Times have changed and with it parenting. 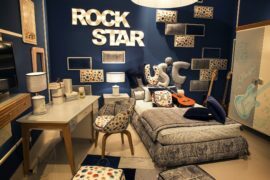 Today’s kids rooms are well planned, smart, beautifully styled and an absolute delight – at least on the first day! 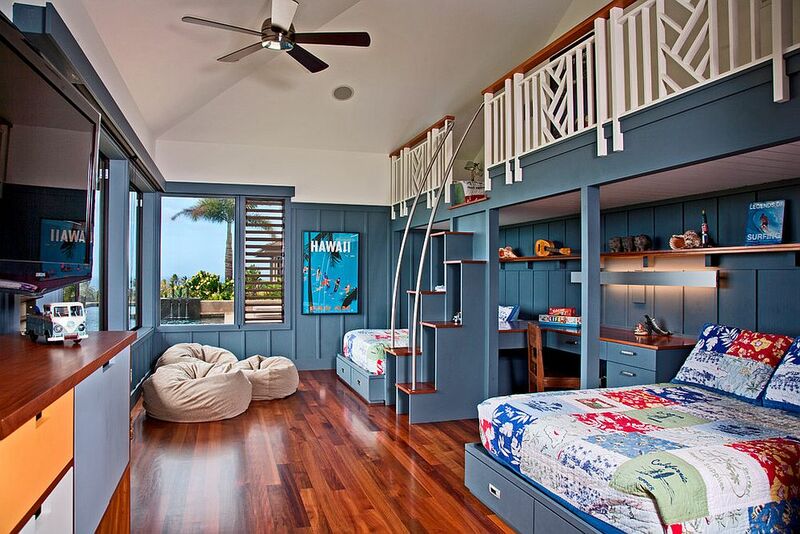 You need not create a shared kids’ bedroom where everything appears in two. Instead, take a more symmetrical approach to design and decorating by giving one half in one color scheme and the other half in another. You can even keep the backdrop neutral and use different colors on both sides to delineate space in an obvious and classy manner. 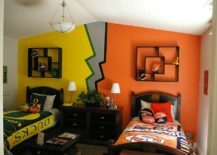 It also allows each of the kids to choose a color of his liking. 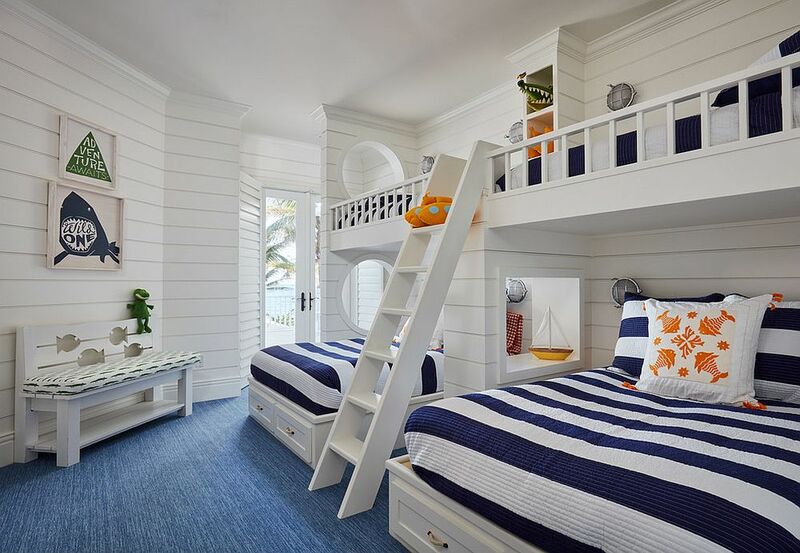 Of course, this works in kids’ rooms with just a couple of children and if you need a room for three or four little ones, then repeating common elements throughout is a safer choice. As a natural reaction, we tend to place the bed in the middle of the bedroom while placing the bedside tables on either side. 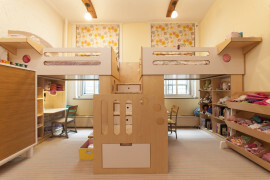 But in the shared kids’ room, it is the beds in the corner that work best. 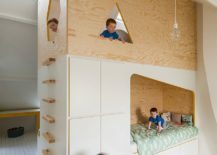 You can even place one bed above the other in a loft style and push the beds to the corner to accommodate four kids with ease. 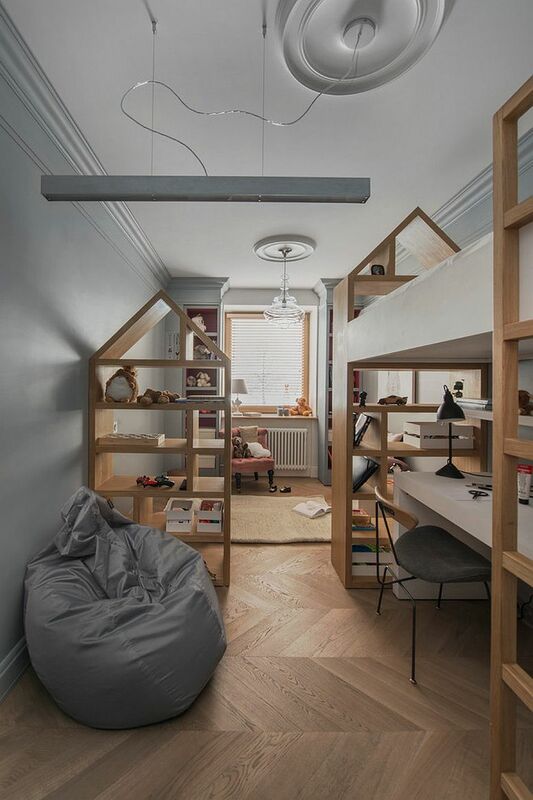 This frees up space in the center of the room and also allows you to use other walls of the room as homework zones or for smart shelving and storage. 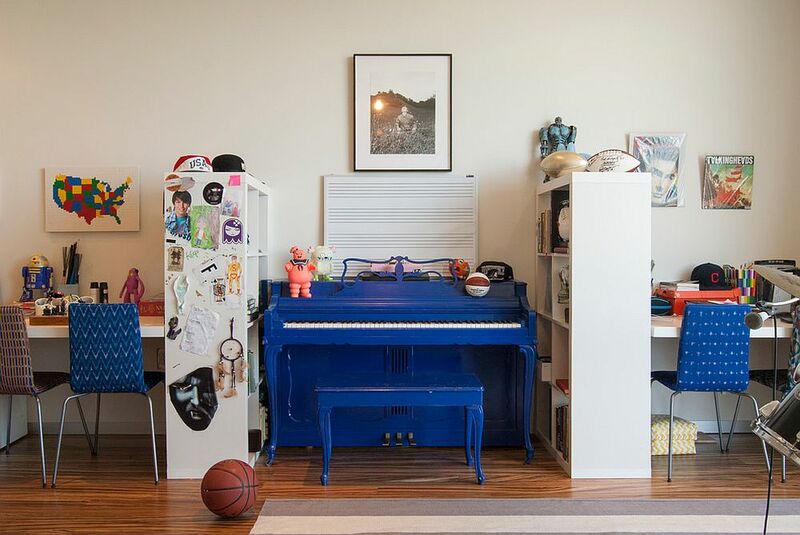 In the shared kids’ room, it is not just the placement of beds that demand extra attention. 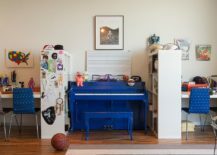 Creating a common play area is easy enough, but a dedicated homework station for two or more kids demands a bit more work. 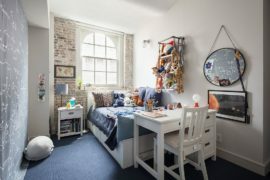 Start with a simple desk attached to the wall and use a few chairs and wall mounted open shelves and cabinets to create the work station. 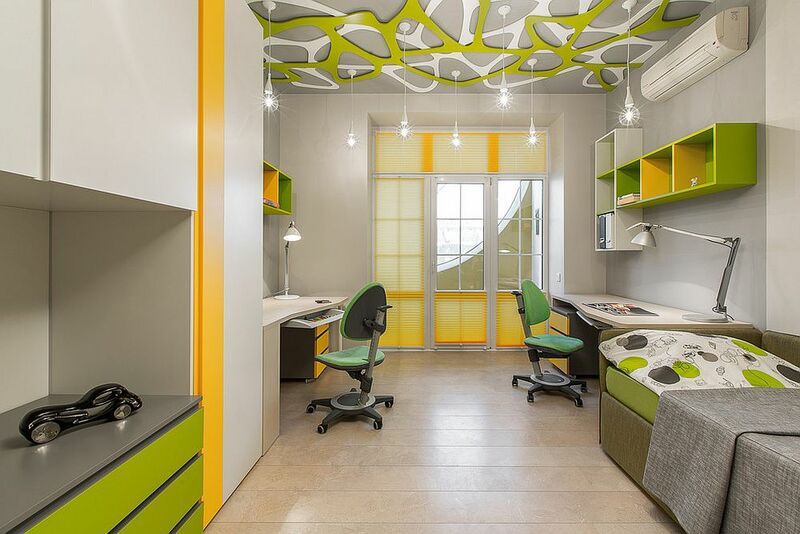 This design is simple, reduces visual fragmentation of space and keeps things organized. 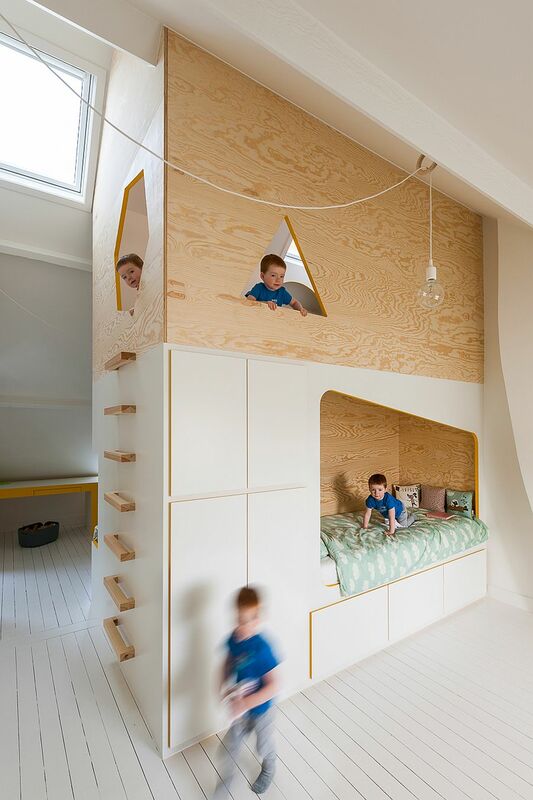 In the small kids’ bedroom, it is best to think vertical and bunk beds are the way forward. 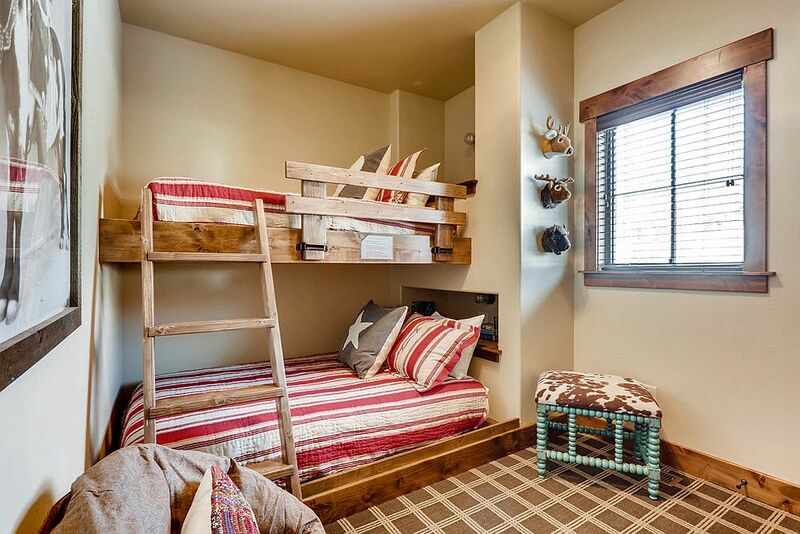 An entire wall of bunk beds is easy enough to work with and the room is also perfect for sleepovers. You can move everything else to the opposite wall of the room in terms of storage. 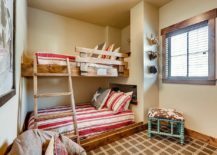 Here again, it is the vertical space that comes to your rescue with modular and adaptable wall-mounted units completing an ergonomic shared bedroom. We are big fans of modern dividers that multi-task with ease. 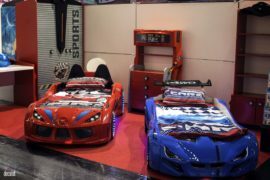 Get one of these in the shared kids’ room to avoid turf wars even while giving the little ones a sense of privacy. 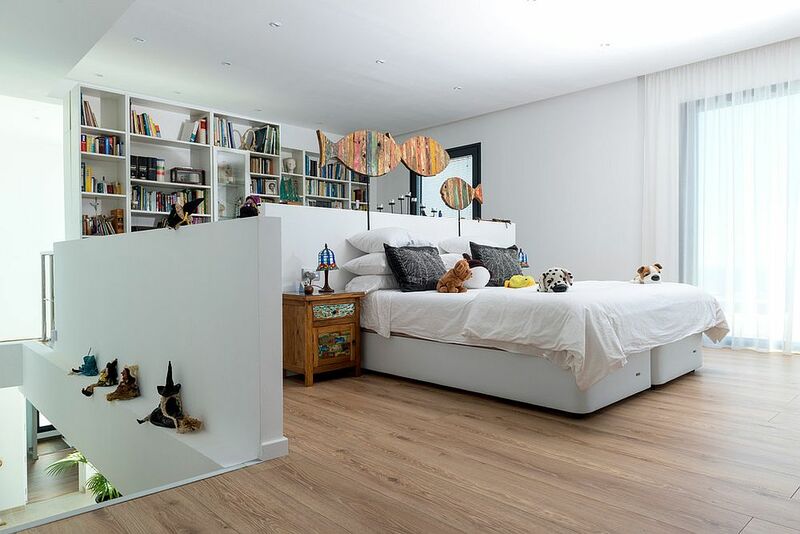 Half-walls with bookshelves, headboards that have storage options or even a smartly placed curtain can do the trick. Ensure though that these are flexible dividers that can be moved out when needed. 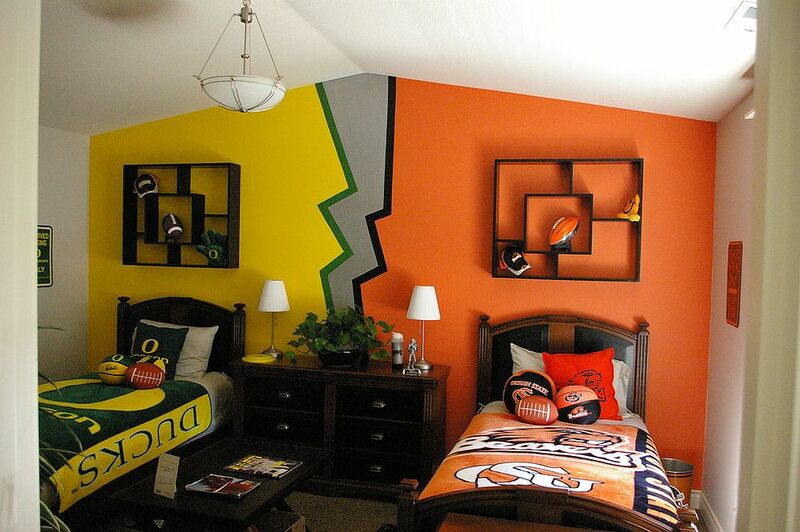 It gives you greater number of redecorating options down the line.